The Main Menu has different options based on user profile. For example, an agency user can create, maintain, modify or search incidents and activities, and can create incident and activity reports. Users can also view the latest advisories as well as access the Investigative Resource Library. With BATS, you can create incidents on either the Standard Form or the Short Form. The one-page Short Form contains the most critical incident fields. 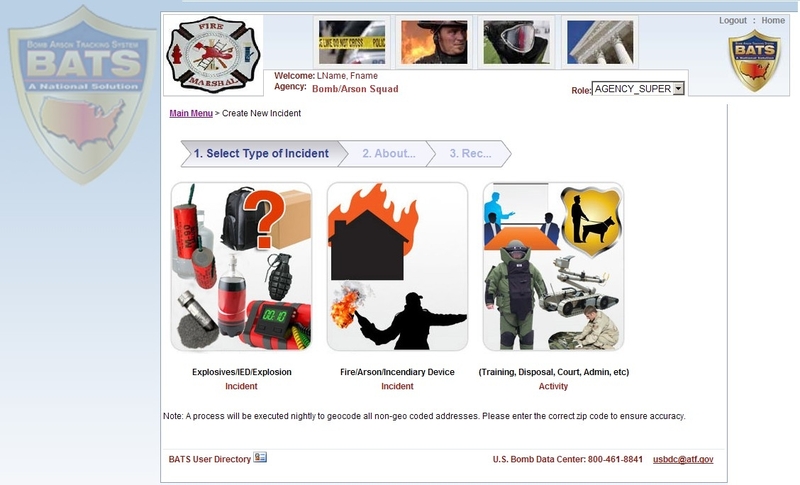 It provides you a quick method to enter your arson and explosives incidents. Incidents you create with the Short form can be later accessed via the standard form where you can add additional details. This real-time function allows a user to search nationwide for similar devices based on device components and other incident details. This reduces time spent researching old case files. Since the information is entered once, it eliminates redundancy. 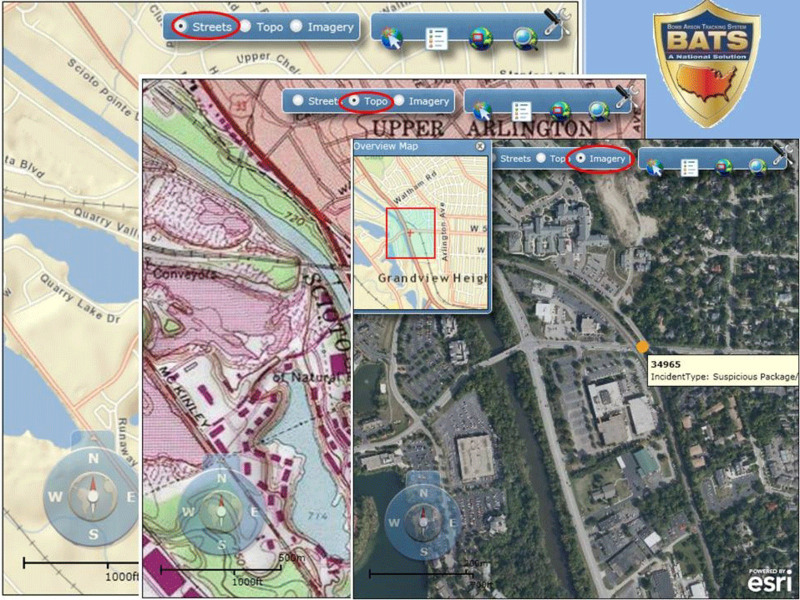 This real-time function allows a user to search nationwide to identify potential suspects. 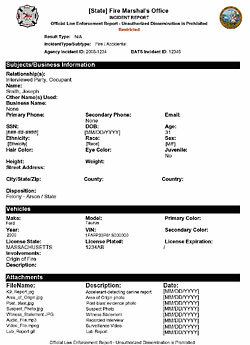 Outside agencies only see contact information for the case investigator. Each user decides what to share with other agencies. This feature is ideal for multi-jurisdictional Investigations. 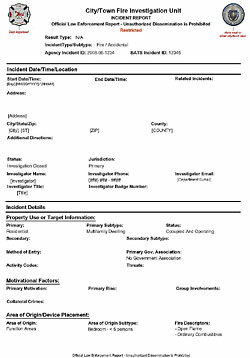 This is a sample incident report. It can be used to document origin & cause, statements/interviews, and other investigative activity using standardized terminology. 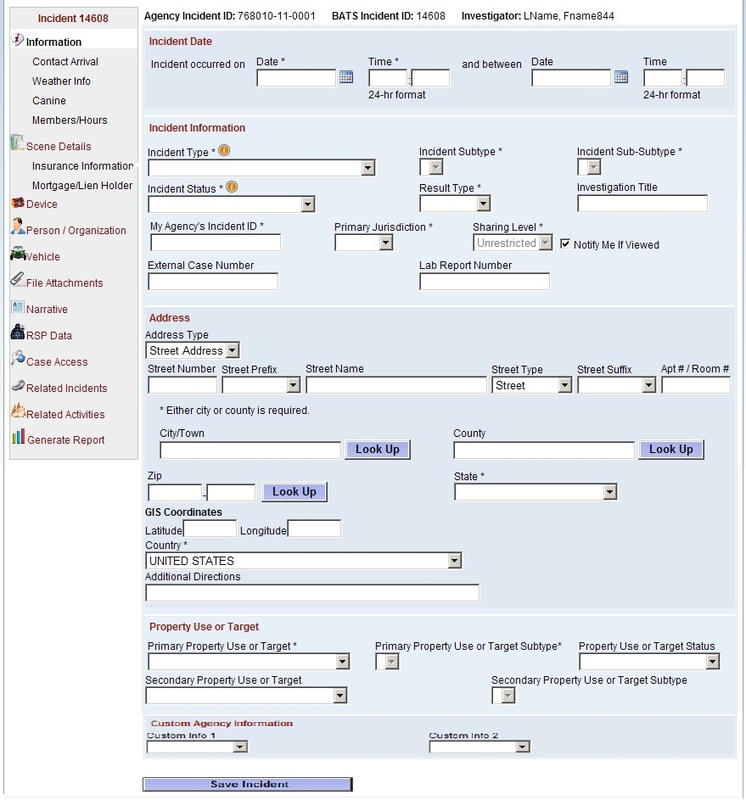 Reports are customized using your agency's seal/header. This report can be accessed anytime by your department and is ready to submit to the file, supervisors, court, etc. 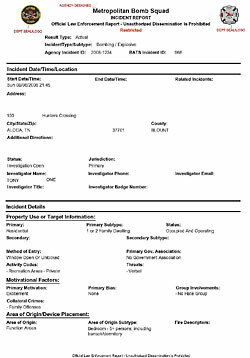 This is another sample incident report. It can be used to document origin & cause, statements/interviews, and other investigative activity using standardized terminology. 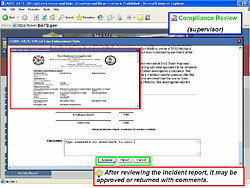 Reports are customized using your agency's seal/header. 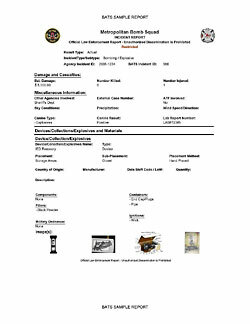 This report can be accessed anytime by your department and is ready to submit to the file, supervisors, court, etc. 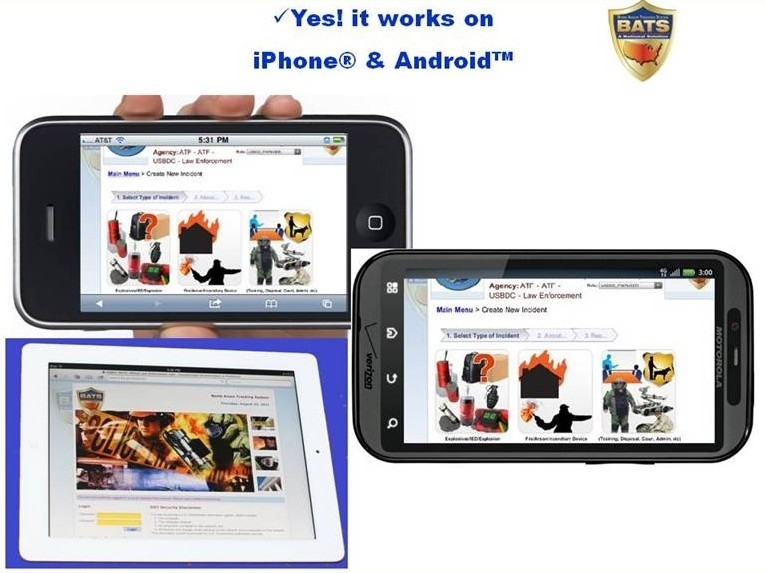 BATS is a web-based application and can be used on your favorite smartphone or tablet devices. **Note: All wireless use of BATS must be in compliance with the BATS user's agreement. 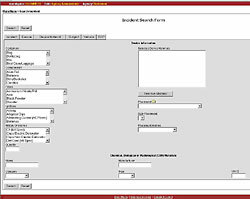 This feature allows users to map and display their incidents. 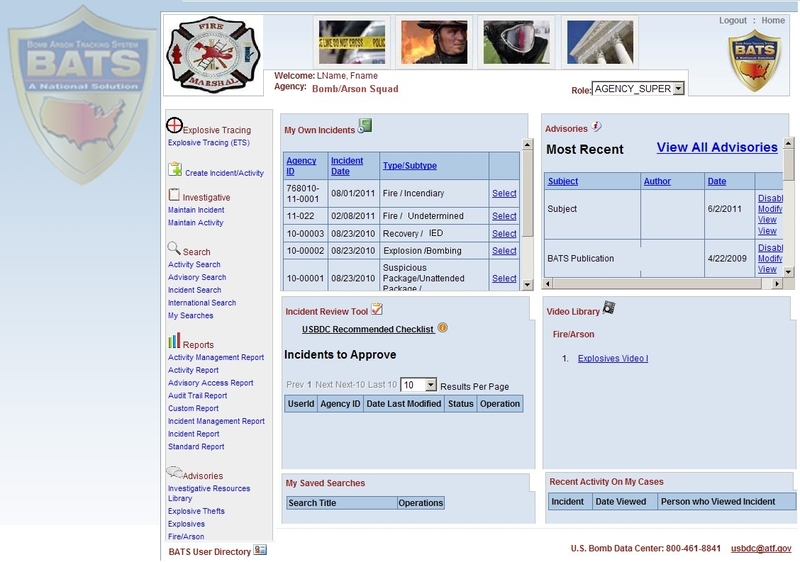 "Compliance Review" is an optional feature to assist unit managers with reviewing BATS entries by unit members.